Renault Koleos makes an impressive inning in India as it offers the versatility of a strong SUV in the wildest of roads while being a luxury sedan. It makes a wise a buy from a wise manufacturer. We have known SUVs as practical no-fuss cars, but it seems Koleos is all set to challenge it. Essentially a fun car, this SUV is a monster with a M9R 865 1995cc turbocharged diesel engine. The pretty five seater has spacious legroom and the seat back tables serve as sturdy ones nestling against the back passengers when the front most driver and adjacent seats fall back. 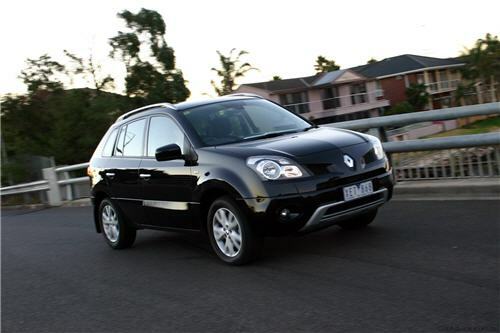 Renault Koleos takes care of the conformability and luxury factor well enough. The tech savvy modern generation would love its smart access card with remote start stop; the plush dashboard and fake carbon fibre panels and a Bluetooth enabled 8-speaker bose entertainment system with plug and play ability. From the moment you ride on to the king-size high swung driver’s seat and get hold of well maneuverable steering wheel, you can experience its brilliance in every turn. The passengers comfort is well-taken care of by the dual zone air-conditioning, leather spread and an air conditioned rear vent that has separate blowers. The driver’s seat is a six-way adjustable one. All this is hallmarked by a Euro NCAP 5 Star safety rating so you can be sure there can be noting better than what Koleos offer when it comes to safety, luxury and durability. 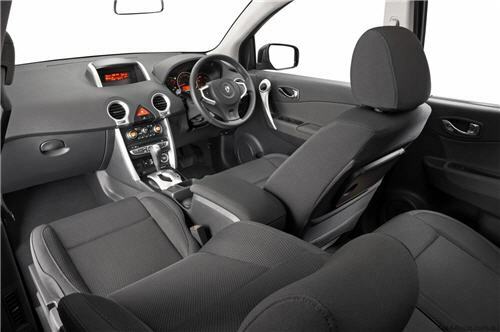 The macho of a car, Koleos comes in three colour variants Ultra silver, White pearl and Black metallic. It comes with a 6-speed Automatic Transmission. 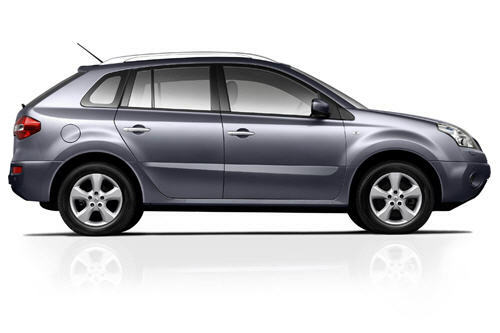 Endowed with the highest possible safety with latest auto technology, Koleos has mountain descent control. The French auto giant’s second inning, Renault Koleos is going to click big with the Indian auto market as the SUVs are the second most hot selling potatoes after the hatchbacks. Renault has designed the model to give maximum comfort along with impeccable handling. The only regret is that the sedan comes in only one fully loaded version and also bears the glitch of a patchy gearbox. After the launch of its sedan car Renault Fluence in the month of May, the French automaker is all set to woo the Indian auto market with its second launch SUV Koleos in the festive season in the month of September 2011. Priced apply at around Rs 19 lakh, this dynamic hybrid will have both petrol as well as diesel engines. Go for a test drive and you would be overwhelmed with the smooth eloquent manner it traverses the harshest of Indian roads. 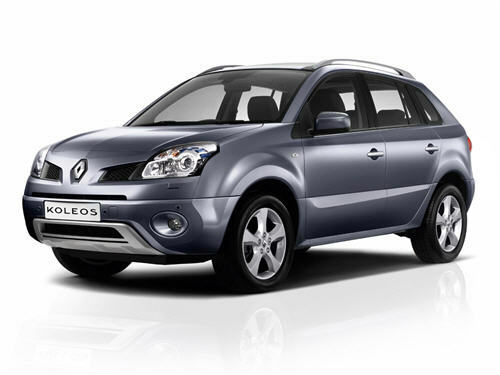 Renault Koleos car is priced at around Rs 22,99,000 in India.